Today I've got Melliott from the Burbank Public Library (she's got a cool art blog, too!) here sharing her favorite classic. I was thrilled when I read this recommendation because I've never heard of the book - or author - before, but it sounds like something right up my alley! I have an incredible local library, and seeing Melissa's submission reminded me that I need to take more advantage of all the resources available for me there. And I had a lot of fun browsing the Burbank Library's blog and love that they created one specifically for YA! In this intricately plotted novel of a Cornish country house and the five generations who have peopled it, the story of American-reared Tracy Quin's homecoming is intertwined with the stories of her ancestors. 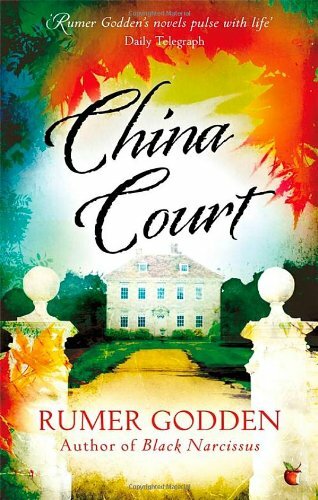 Tracy comes home to visit her grandmother on the day after old Mrs. Quin dies, and becomes involved in the question of what will happen to China Court, the house she loves, which is hopelessly outdated and requires a great deal of repair--repair for which there is no money. The old stories rise one by one as Tracy's unfolds--the story of lonely, brilliant Eliza; of Jared and Lady Patrick's fragile, bitter marriage; of Borowis and John Henry and old Mrs. Quin herself, when she was beautiful young Ripsie and an outsider to the family. As the lives of those who loved China Court are unfolded, the question of what will happen to the house becomes even more pressing, and soon only Tracy and Mrs. Quin's young tenant Peter St. Omer stand in the way of its destruction. I fell in love with Rumer Godden's books in my 20s, when I discovered them at the library while browsing the shelves. I then started collecting any of her books I could find--difficult, since many were out of print even then, so I searched diligently at library book sales. I own two copies of China Court, one pristine and one a beat-up library discard, just to make sure I never go without! There is so much to love about Godden's books. This one includes historical fiction, an unabashed romance, and a reclusive spinster book collector who ultimately saves the day for her family several generations later. The narrative wanders from past to present, and gives insight into class consciousness, women's "place," and family dynamics, all set amidst the beautifully evoked English countryside that Godden brings to life along with her characters. Both of these books have the same feel for me, because they have intergenerational themes and are similarly paeans to a rural England I would love to inhabit. I hadn't heard of China Court before this post, but holy heck, do I want to read it! It sounds like just the type of classic I could really love. Thanks for the rec, Melliott!